Proliferation of weapons of mass destruction and missile technologies is a growing threat to NATO member states, their territories and citizens. Although the number of nuclear warheads around the world decreases, states’ nuclear capabilities continue to expand with development of ever-more precise delivery systems. Approximately 30 states around the World, including Iran and North Korea, possess or strive to acquire advanced missile technologies. Growing tensions between NATO and Russia challenge the air defence capabilities of the alliance’s eastern flank. By implementing A2AD strategies, Russia puts in question NATO’s capacity to come to aid and assistance of threatened members. Although the Alliance declares that the aim of a NATO Missile Defence capability is to provide coverage and protection for all NATO European member states against the threats posed by the proliferation of ballistic missiles, controversies about its current shape are emerging. On the one hand, after the Iran Nuclear Deal, the threat of unexpected missile attack from Middle East seems to diminish. On the other hand, however, modernisation of Russian missile forces, Moscow’s violations of INF treaty as well as increasingly aggressive rhetoric in the NATO-Russia relations cause concerns. From the Polish perspective, principal issue lies in assuring the ability to provide point missile defence against a potential threat of Russia’s ballistic missile strike. 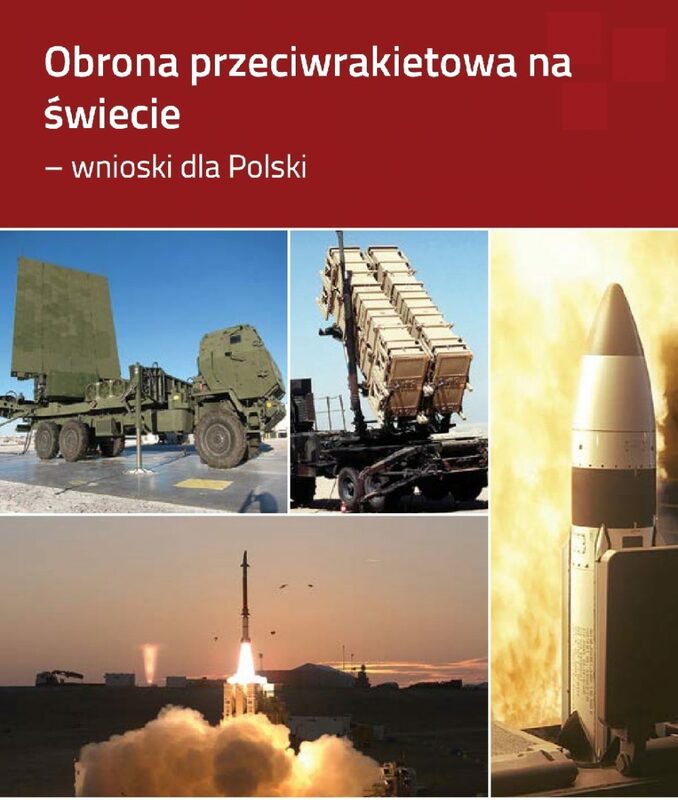 The strategic area that has been neglected for many years is the Polish air defence system. Until now, the core of the Polish weaponry against the air attack has been based on Soviet missile systems. After many years of neglect, the MoD planners as well as the policy-makers realised that further delay of the technical modernisation in these areas is no longer possible. As a result, Polish Air Force is expected to obtain 8 batteries of medium range air defence system WISŁA, which are capable of hitting aircraft targets at a distance of 100 km and ballistic missile targets with a range of 1000 km. The modernisation programme also foresees obtaining short range NAREW SAM system for the Air Defence Forces and the Land Forces. Such a big project poses a number of challenges. However, it provides new opportunities for the Polish Armed Forces, also in terms of the cooperation within the Alliance. Nevertheless, Poland is not the first country that implements an extensive air defence programme with missile defence capabilities. Residents of several states, such as Israel, South Korea and Taiwan, live in the shadow of hostile missiles. Over the years, Poland’s allies in NATO have also been developing their capabilities in terms of missile defence. What conclusions can Poland draw from their experience? The report consists of five chapters, which were summarised in this executive summary. The report aims to describe the process of development of the air defence systems in five selected countries: the United States, France, Germany, Israel and Taiwan. Three of them are NATO member states, whereas two others are outside of the Alliance’s structures. This selection of systems enables an analysis of a wide range of threats and solutions, derived from various experiences and concepts from around the world. The analysis is based on open sources, surveys and interviews conducted with experts as well as the information obtained directly from the producers of the air defence systems. The report is the culmination of several months of the project that consisted of three seminars with the participation of experts from the United States, Israel, Germany, and Taiwan, as well as the international conference concerning the missile defence (NATO Ballistic Missile Defence Conference).